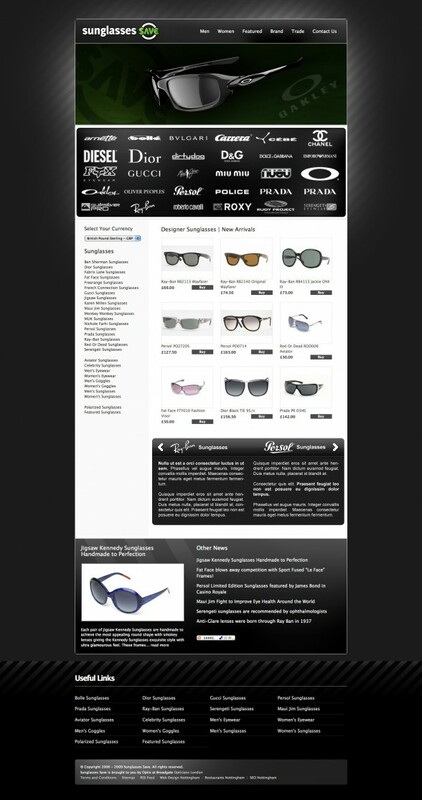 We have added the majority of the monster product Range to Sunglasses Save and are making good sales. Now we are turning our attention back to the overall web design to increase the quality of the aesthetic with a view to improving brand strength and sale conversion. Alongside this we are implementing useful techniques to direct customers directly to the brand sections and to improve the quality and quantity of relevant content on the homepage. Here is the latest design which has been agreed and will be implemented on the site swiftly.